Fashion sweets that are wonderful to look at, to taste, and to give as a gift. Samantha Thavasa has produced a line of sweets, with the concept of treating our customers to something special, to make them feel extra happy. 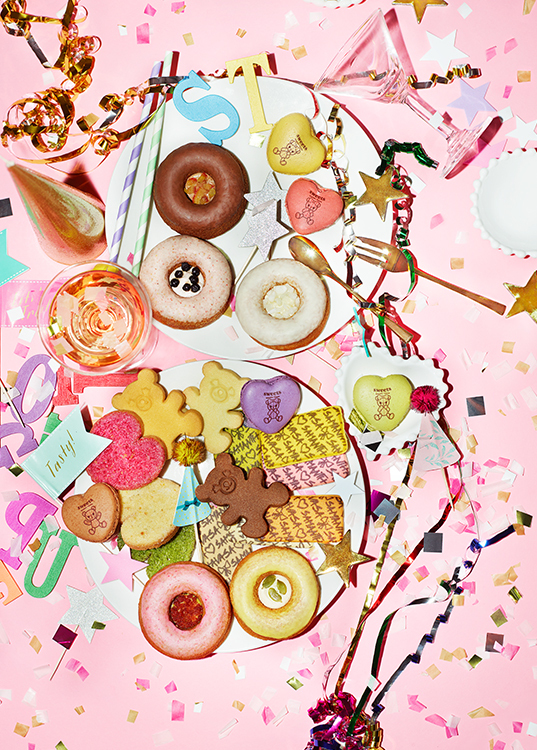 In addition to our own original sweets, collaboration sweets created with famous pastry chefs are offered. It’s just like a select shop of sweets, with a lineup of sweets that are unavailable anywhere else. The sweets have been highly rated as excellent gifts to give to someone special, or to serve to people who come to visit. The stores are located at airports and popular sightseeing spots. Our sweets business has its own story, connecting the excitement of the action of traveling with an item to represent this emotion by.